III.Wills, Trusts, And Estate Tax Planning. A Will is a document of written instructions that directs how to dispose of a person’s property upon death.When a person dies without a Will, he or she is said to have died “intestate”.The attached Exhibit A illustrates how Texas law directs distribution of property when a person dies without a Will. Gift Trusts: Designed to receive and manage assets transferred irrevocably to one or more beneficiaries. IV.Estate Tax. The 2016 Estate Tax Exemption is $5,45,000 with a maximum 40% rate on amounts over $5,450,000. The Annual Gift Tax Exclusion is $14,000 with the Lifetime Gift Tax Exemption equal to $5,450,000.See Exhibit B for an outline of basic estate tax planning. Revocable Living Trust (see below). VI.Will vs. Revocable Living Trust.Clients may implement an estate plan either by utilizing a Will or a Revocable Living Trust. Will: A Will is easy to implement because nothing occurs until death. We simply coordinate beneficiary designations, and the client goes on living. When the client passes away, we probate the client’s estate. Probate is a public record and takes about 5 weeks. The probate fees are approximately $3,000. 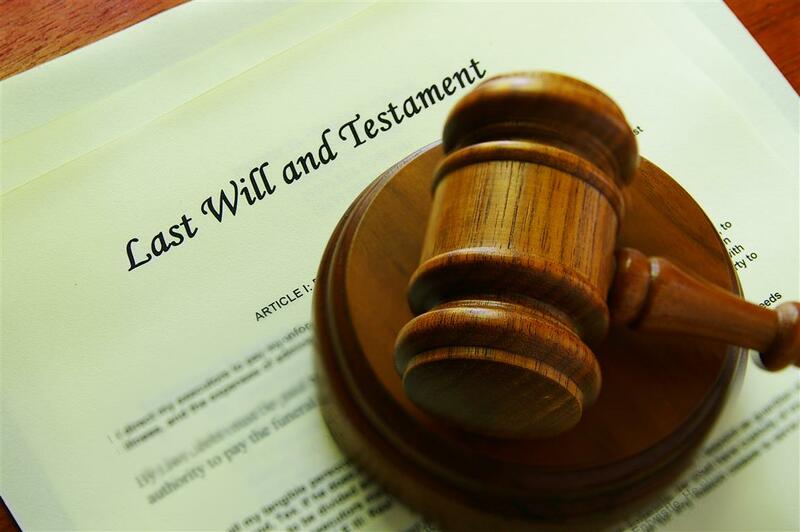 After probate, we implement any planning set forth in the Will (e.g. fund the trusts referenced in the estate plan for the surviving spouse, then children). (1) Privacy. The client names the Revocable Living Trust anything he/she would like (the XYZ Living Trust). Then we transfer property such as the homestead, other real estate, brokerage accounts, checking accounts, savings accounts, and ownership interest in businesses to the Revocable Living Trust. As a result, no one ever knows what assets the client owns. (2) Centralizes Management and Control of Assets. If a client becomes incapacitated, we do not need to utilize powers of attorney. Instead, we have a successor Trustee to handle the client’s financial matters. (3) Avoids Probate. A Revocable Living Trust should own all of a client’s titled, non-beneficiary-designated assets. We prepare Deeds to transfer real property. We work with the financial advisor, banker, and the client to transfer the bank accounts and investments. When the client passes away, the Revocable Living Trust dictates where the property transfers pursuant to the estate plan. We avoid probate of $3,000 upon the first spouse’s death and the surviving spouse’s death. Furthermore, we avoid probate in every state in which the client owns real property!